I was happy to be back in Japan last months for 2.5 weeks – my fifth trip back to Japan in the 2.5 years since we moved back to the U.S. And yes, darumas give me happiness too. The first part the trip was a family vacation to bring our children back to see friends and favorite places from when we lived in Tokyo in 2015-2016. 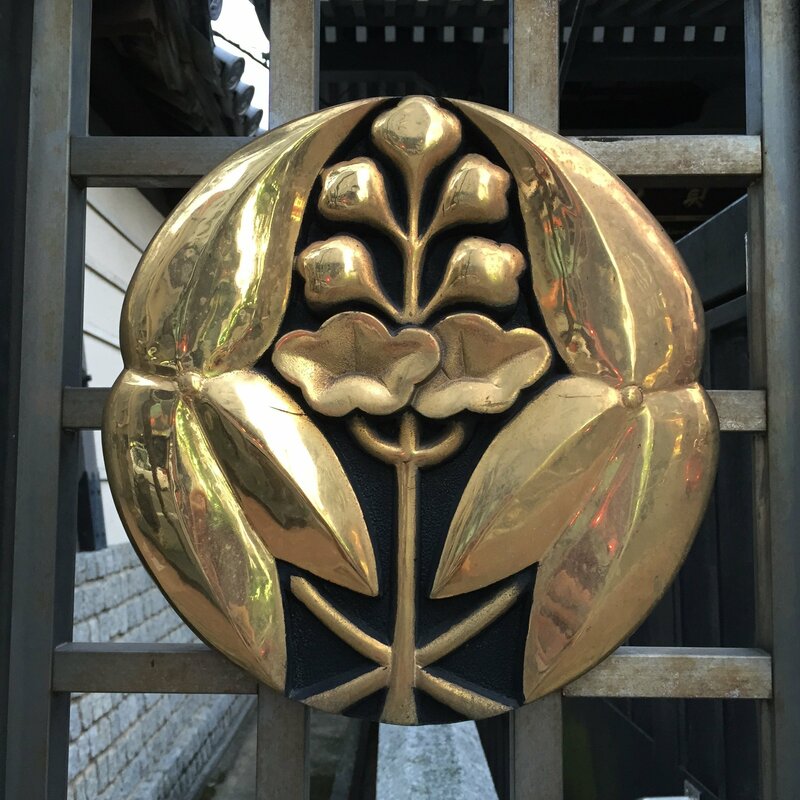 The second part of my time was spent “going to gemba” to validate new components of the upcoming Japan Study Trip program – including hotels, site visits, and cultural experiences. I’m thrilled to be able to add two new company site visits and some fabulous other experiences to our program in May! 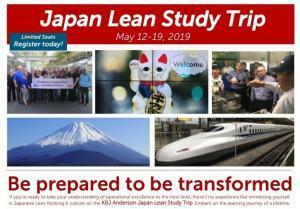 Join the Next Japan Study Trip! The program for the May 2019 is almost completely filled but there are a few spaces remaining. If you have ever considered going to Japan for a professional learning trip, don’t miss out on this one! Click here for more details and enrollment. If you cannot make it to Japan with me this year, I am already planning a trip for Spring 2020. Follow this blog for updates and announcements of the confirmation of the date and when enrollment will open. I’ve had a dream for nearly 3.5 years of visiting Ina Foods, ever since I read the book “Tree Ring Management” by Ina Foods Chairman Hiroshi Tsukakoshi and blogged about my key takeaways. Toyota leaders such as Akio Toyoda have visited Ina Foods over the last few years to learn about their philosophy of long-term thinking and focus on people. My interest was further piqued a year and a half ago after learning that my friend and female business leader Noriko Ogura (who’s company Ogura Metal is on the Japan Study Trip program and who I’ve been friends with since 2016) had taken her own leadership team to Ina several years ago as part of their leadership development program. Several months ago while planning the next KBJ Anderson Japan Study Trip, I mentioned this desire to my Japanese business partner and coordinator Mami and she said we should make it happen! It was a great four days with my partner Mami to plan the next Japan Study Trip! Ogura-san gave us a private introduction to the leaders at Ina, and Mami arranged for a visit to coordinate with my time in Japan in February. My purpose was primarily to satisfy my own personal learning interests, but I was hoping that we might be invited to bring our tour group in May. Both goals were achieved! It was no easy feat to get to the town of Ina, just south of Nagano in the Japan Alps where the 1998 Winter Olympic Games were held. Mami and I met at the Shinjuku bus terminal in Tokyo on Tuesday morning. Our bus ride was nearly 3 hours, but it passed quickly as we hadn’t seen each other in person since May when leading a previous Japan Study Trip. Side note – I was impressed and grateful for the very good visual cues in the bus terminal that made it clear which way I needed to go to meet my bus. Ina is a small manufacturing company with about 500 employees, including their sales representatives located around Japan. Their primary product is “kanten” or agar which is made from seaweed, and are well known in Japan for their product “KantenPapa”. We met with the Chairman’s second son, Ryo Tsukakoshi. His older brother was poised to take over the leadership of the company just a few days later on March 1st. Tsukakoshi-san was generous with his time to talk with us about the company philosophy and show us some of the production sites. The purpose for Ina Foods is Happiness. “We want a happy life. It’s our foundation to continue the business. Everything we do is based on keeping people happy. If we focus on how we can keep people happy, the rest will follow”. What a refreshing take on a company’s purpose! “Profit is like excrement produced by a healthy body.” Profit is something that every organization needs to do, but it shouldn’t be the sole purpose for a company. It’s important to the leaders at Ina that everyone understands and shares this purpose of creating happiness. The Chairman helps new employees understand the purpose and values of his company by meeting new employees several times a week in their first few months at Ina Foods. He is passionate and hands on, even in his retirement. In regular meetings, leaders not only talk with employees about the purpose of the company, but also help employees clarify what is the main purpose in each of their own lives. The company practices kaizen and supports (and celebrates) continuous improvement ideas brought forward by employees. In many areas throughout the factories, kaizen sheets are posted to celebrate the daily improvements made by employees. Management does not require that employees write down kaizen ideas. Special teams also get involved to help solve more complex problems. Tsukakoshi-san said “we don’t want to limit ourselves to kaizen only”. Ina leaders put emphasis on the concept of “kaiteki”, which was new word and concept for me, meaning “comfortable” or “pleasant”. Note the first part of the words “kai-zen” and “Kai-teki” are the same: “kai”, meaning change. See this post about the meaning behind the word Kaizen! Ina values innovation and changes in service of creating a comfortable and happy environment. Tsukakoshi-san also explained that management gives staff the responsibility and authority to make decisions for themselves. For example, if someone needs a certain supply or piece of equipment, they are trusted to make the best choice based on what is most suitable for the purpose, rather than based on cost. We ended the visit with Tsukakoshi-san reminding us that happiness is a simple goal – we all have different ways to achieve it. I cannot wait to take our Japan Study Trip group to Ina in May and keep learning from this inspirational company! After visiting Ina, I parted ways with Mami; she took a bus back to Tokyo and I got on a bus to Nagoya. The following morning, I journeyed towards Toyota City where my friend Tim Wolput (who has shared with me many amazing Lean experiences in Japan including this Accounting firm, a start-up meeting at a restaurant, and a local government ward) and his colleague at the Toyota Management Institute were teaching a TPS class to a group of student from South Asian countries such as India and Sri Lanka. At lunchtime, Mr. Yoshino met me at the AOTS facility and happily reported that he knew the location because the dormitory for the NUMMI managers who came to Japan for their 3 week Toyota City training program in the 1980s was located just down the road! We journeyed back to Nagoya via train and then spent the rest of the day together reviewing his presentations that he has been working on, reviewing the topics and discussing more stories to include in our book, and having dinner near the Nagoya Hilton. I then jumped on the Shinkansen for the 90 minute journey to Tokyo. I miss my regular Shinkansen commutes! In the morning, Mami picked me up outside of the hotel near Tokyo Station in a rental car and we were off again for a full two days outside of Tokyo to finalize our program experiences. Discovering an onsen town with a wonderful traditional Japanese guest house (ryokan) that we will stay in for one night on our Japan Study Trip tour program. The natural hot springs are a treat – I soaked in them both before bed and in the morning after waking early to enjoy a special morning hike to the local temple. 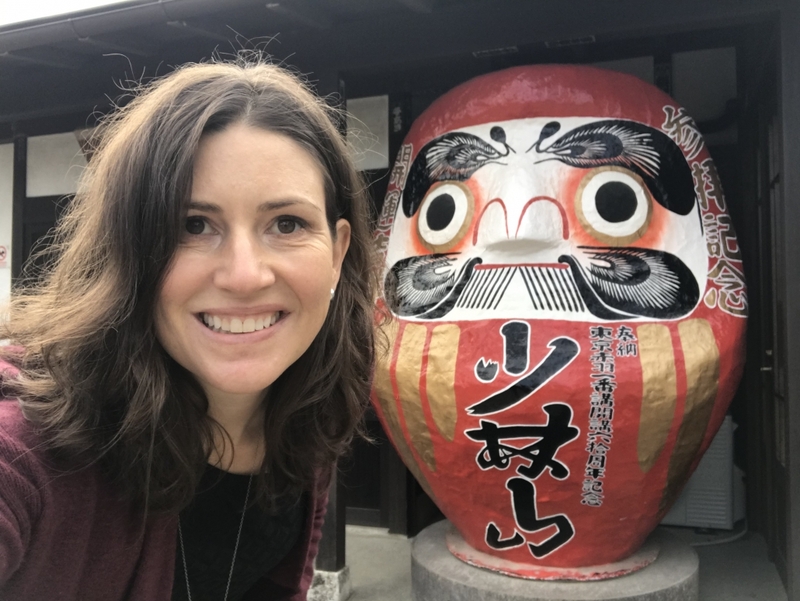 Visiting the Daruma temple (my second visit – I made my first daruma pilgrimage in 2017) in Takasaki. I ordered a special new daruma inscribed with my special word “intention” in Japanese and had a new temple book inscribed by the monks there. And yes, we’ll be going there in May too! Having lunch with Noriko Ogura – always a treat to spend time with this dynamic female leader. It was a whirlwind four days and three nights packed with experiences and traversing the island of Honshu, but energizing and fun. I was already excited by the program I’ve put together for the Japan Study Trip in May, and am even more excited now to confirm these additions to our program! 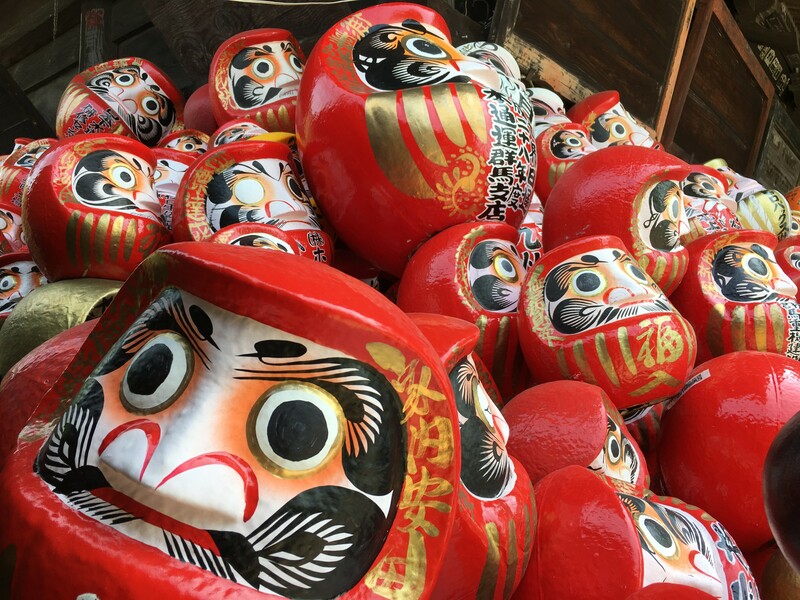 Don’t miss out on these experiences yourself – sign up for one of the remaining seats for the May 2019 Japan Study Trip! If you want to see more highlights from my trip to Japan last month, check out my Twitter feed: @kbjanderson. Here are a few more highlights from the four days. Next week I am traveling to Houston for LEI’s annual Lean Summit to teach a coaching workshop on Monday, and then attend the Summit. I’m extra excited to also be making a visit to NASA to visit a college friend. I will be tweeting highlights and following up with a blog post here in the future, and of course will continue to write about reflections on leadership and lean practices around the world.